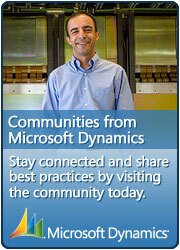 Fellow MVP David Yack has produced the perfect guide to Silverlight with Dynamics CRM 2011. I highly recommend this book for people new to Silverlight or Dynamics CRM but I also think those already working with either Silverlight or Dynamics CRM should check it out. I’ve been reading through it this past week and have been learning key things that will help during the design and implementation of my latest projects. I wish I had this book earlier, as my CRM tools on Codeplex could have really benefited from the details in this book too. It shows the knowledge and understanding David has of Microsoft’s latest incarnation of CRM along with Silverlight and how to integrate them. For an overview of the book’s chapters check it out here, and here is a quick summary of chapter titles. There is now no excuse for not producing high quality Silverlight apps when developing for Dynamics CRM. This entry was posted in Information, MS CRM and tagged Book, CRM, CRM 2011, Custom Application, David Yack, Microsoft Application Framework, Microsoft Dynamics CRM 2011, MSCRM, MSCRM 2011, OData, REST, Silverlight, SOAP, XRM on November 4, 2011 by Rhett Clinton MVP.